CONEY ISLAND BOOM-A-RING THIS SUMMER. 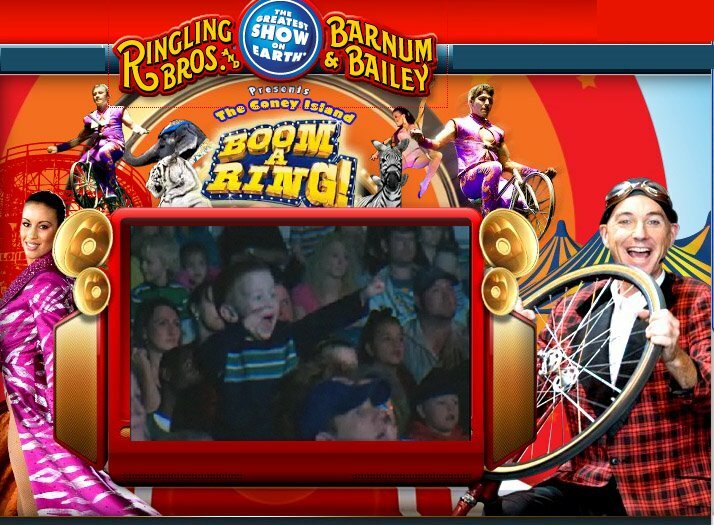 Ringling Bros. and Barnum & Bailey presents THE CONEY ISLAND BOOM A RING, an action-packed seaside circus spectacular where the energy bursts out of the ring, into the audience and bounces back to electrify the Ringling Bros. performers. Get a one-of-a-kind, up-close and personal experience as you sit just feet away from international performers, thrilling acts, and amazing animals! 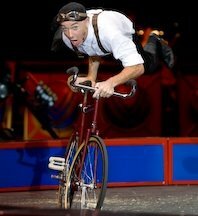 The uniquely talented Justin Case will have you gasping and laughing with his extraordinary and hilarious bicycle daredevilry, leading an amazing cast of aerialists, acrobats, and comics. You’ll be on the edge of your seat as you experience the thrills of seeing a family of motorcyclists race at speeds of 65 miles per hour in the Globe of Steel, a daring never-before-seen crossbow demonstration that takes archery to a shocking new extreme, and a gravity-defying performance on the whirling Wheel of Steel high above the arena floor. The amazing animals will leave you mesmerized; miniature acrobatic Dachshunds jump, roll, and dance in perfect synchronization, beautiful white tigers offer high-fives, and majestic Asian elephants dance elegantly around the arena floor. THE CONEY ISLAND BOOM A RING is a rare NYC summer time experience that engages all the senses and offers Children Of All Ages a day at The Greatest Show On Earth they never imagined possible! Arrive an hour before show time for the All Access Pre-show – FREE to all ticket holders – and meet Ringling Bros. performers and animals, learn circus skills and enjoy a taste of the circus before the show even starts! « Gamarjabat at the New Victory Theatre May 9-24.